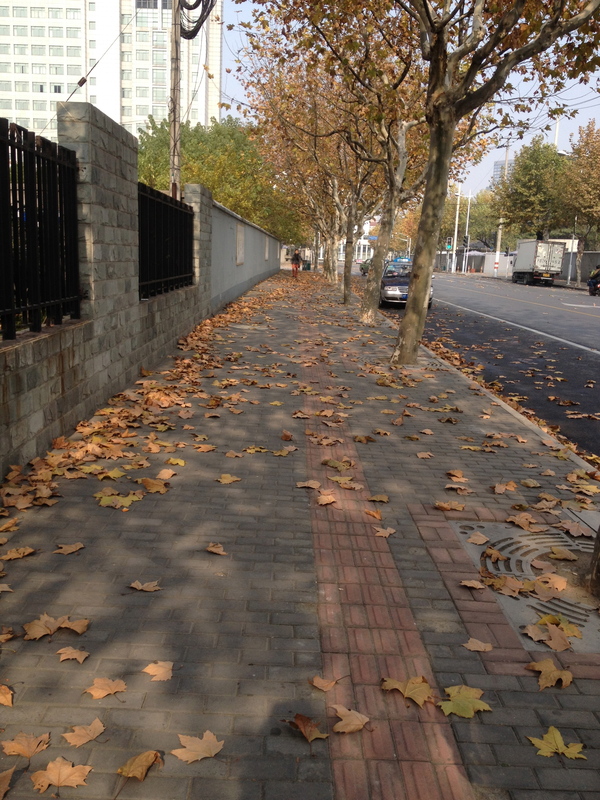 It’s hard to believe that it is already December 8th and that we’ve been in China for 5 months! We only have 2 weeks of school left until a well deserved 3 week break! 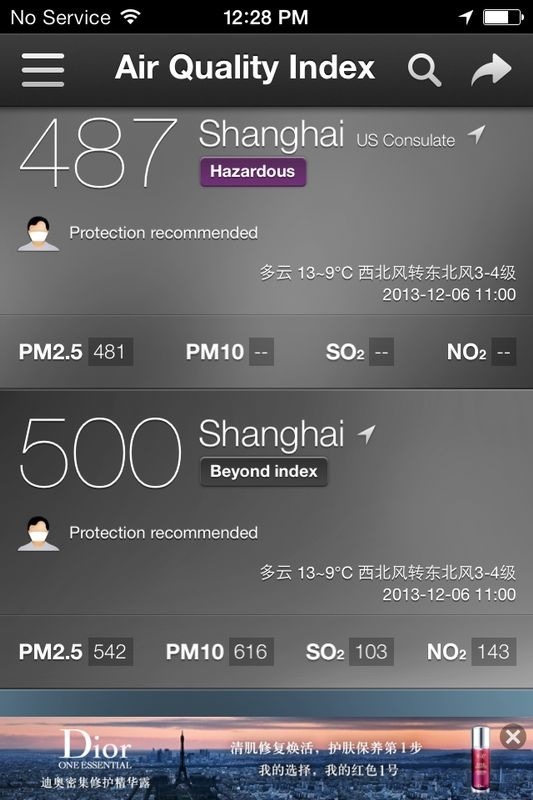 As you may have heard in the news, Shanghai has been hitting some crazy high pollution levels. The beginning of the week, the pollution was over 200. By Thursday it was pushing 400 and then on Friday Shanghai broke records with air quality above the index 500. It is hard to explain what it’s like, but I”m really hoping this 500 business is not a reoccurring thing. Because the pollution was so bad, we decided to stay in on Friday night. 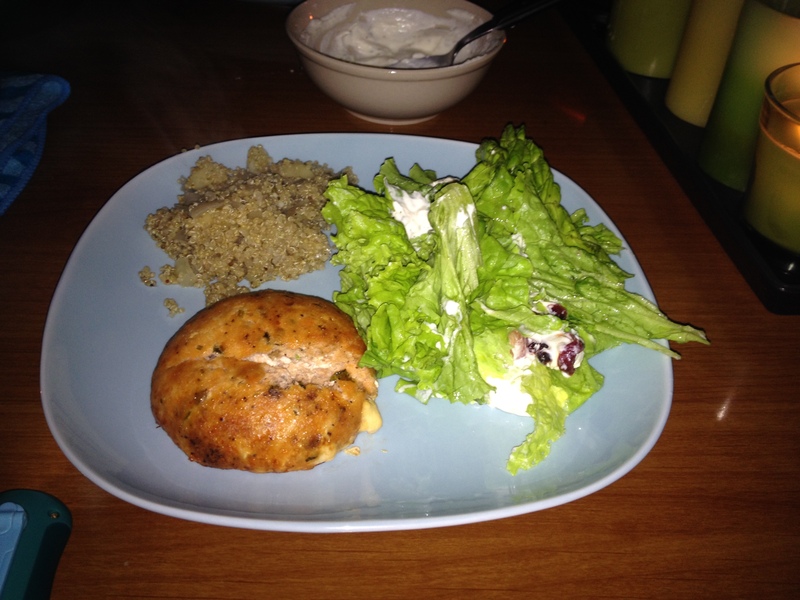 We cooked dinner (salmon burgers, quinoa, and salad) drank wine, and listened to Christmas music! We even got to Skype with both of our parents. 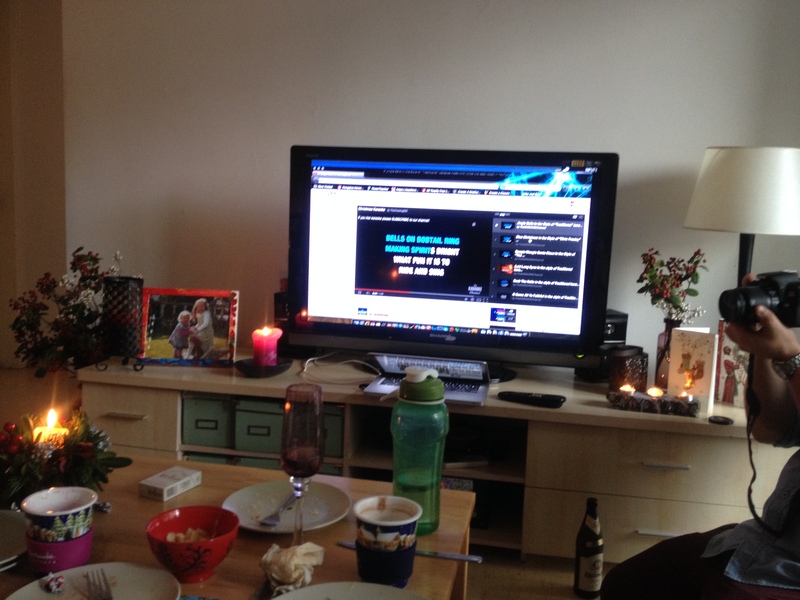 It was a fun night in! By Saturday the pollution had magically dropped to under 300! We decided to venture out of the house in hopes to do some Christmas shopping. After talking with Julia and Alicia and making delicious omelets, we decided to go to YuYuan gardens! Of course the place was packed, but it was nice to just walk around for a little bit! 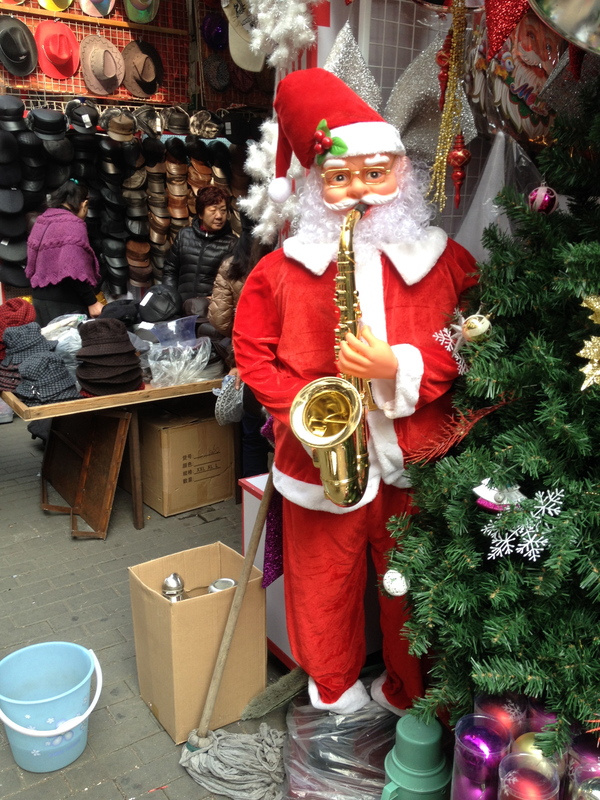 There were some fun Holiday shops that had lots of decorations and Santas playing saxophones! When we finally found the store we were looking for, it was closed! So we decided to head home and have a nap! 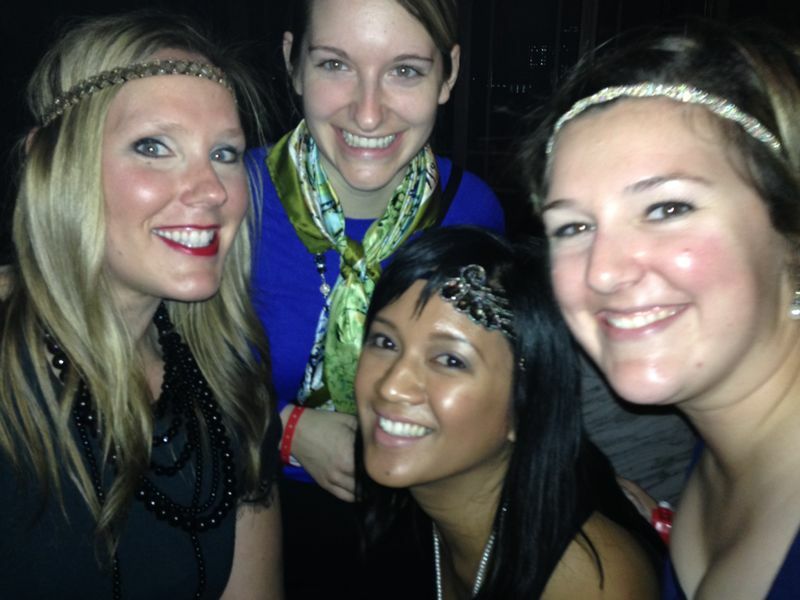 Our Saturday plans involved a 1930s themed birthday party for some of our co-workers! Before heading to the party, Sean, Jason, Boramy and I all had a sushi dinner! 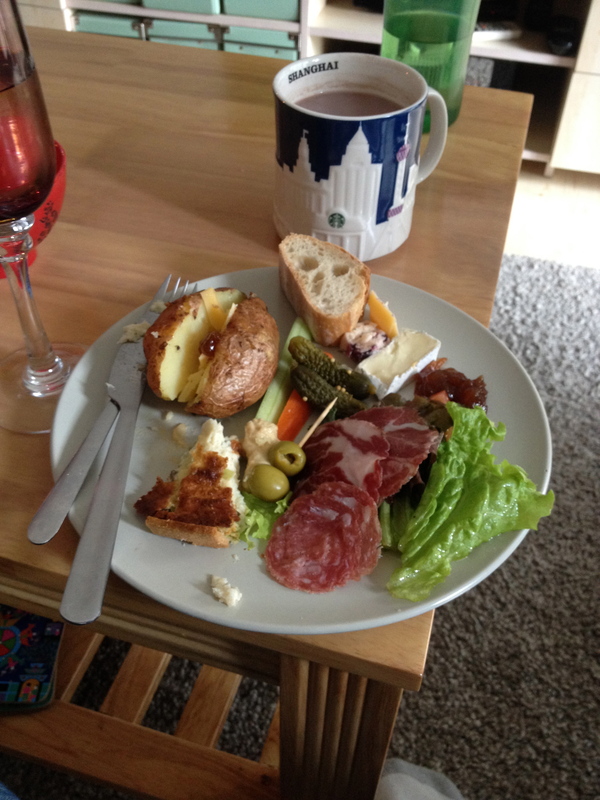 As always it was delicious! The birthday party was at this speak-easy themed bar called The Boulevard. The decor and drinks matched the party theme perfectly! 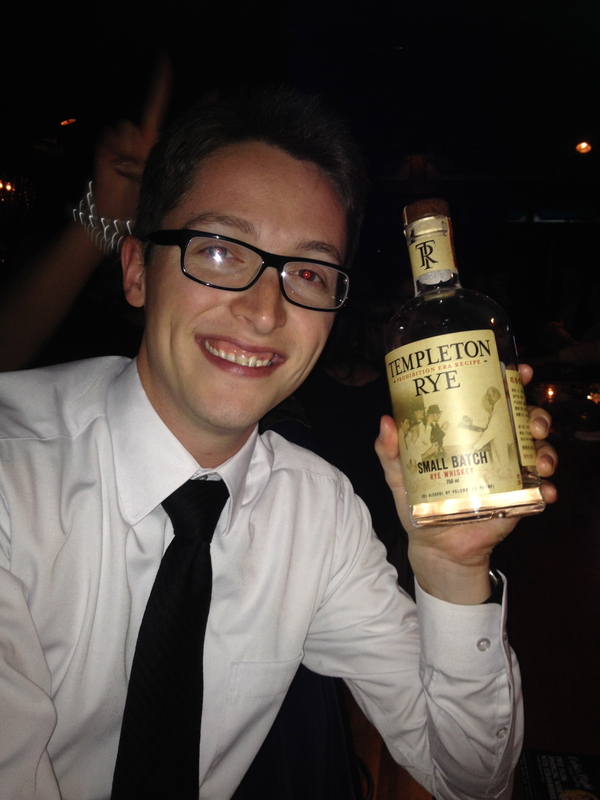 They even had Templeton Rye and even though they were out it was exciting to see an “Iowa” import! After a long and fun Saturday night, our Sunday was filled with Holiday Cheer! It sure didn’t feel like December since it was in the 60s all day! It felt and looked like a beautiful fall day! The group of us traveling to the Philippines for our upcoming holiday all got together for a holiday brunch at Ross and Juliette’s house! I was very impressed with the spread and their holiday decorations. 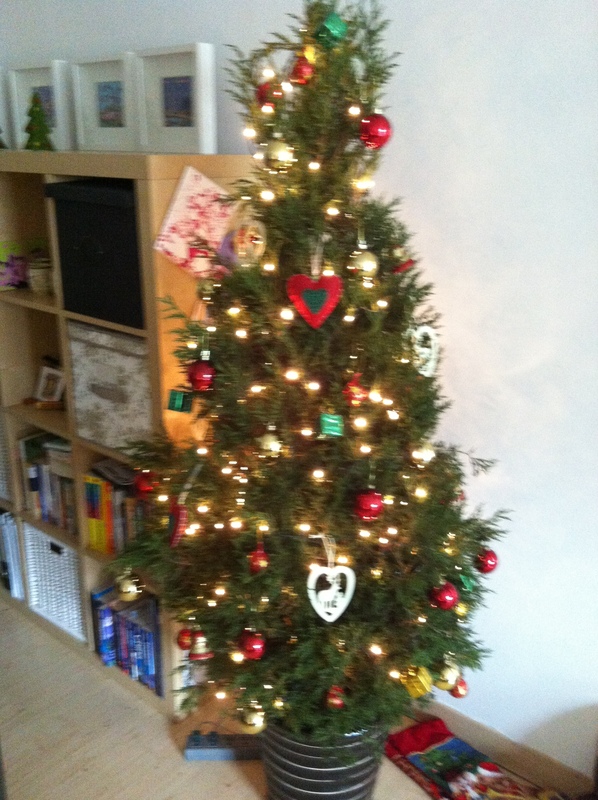 Until today, it hasn’t really felt like the Christmas season! 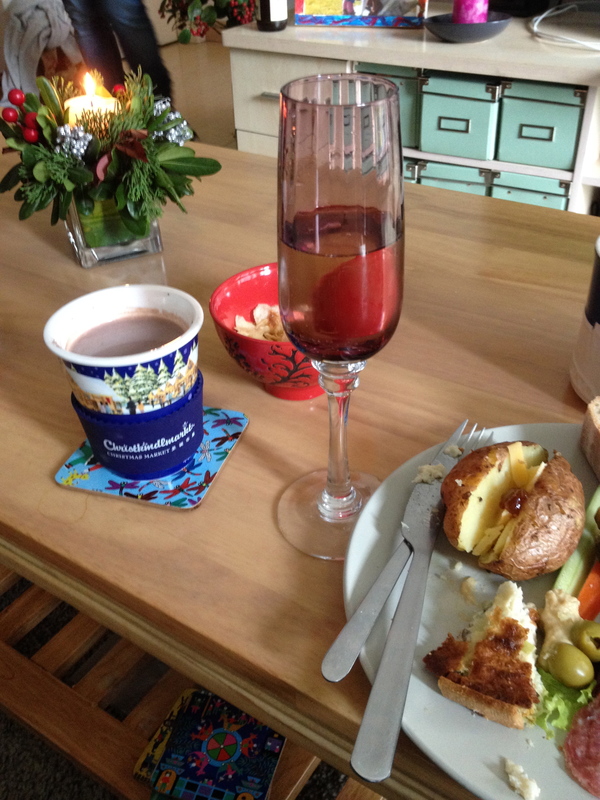 Brunch was lovely with delicious cheese, jams, pies, Baileys, mulled wine, and of course Christmas Karaoke! We even all had a holiday party hat! After brunch Jason and I ventured to the Christmas Market in the French Concession. 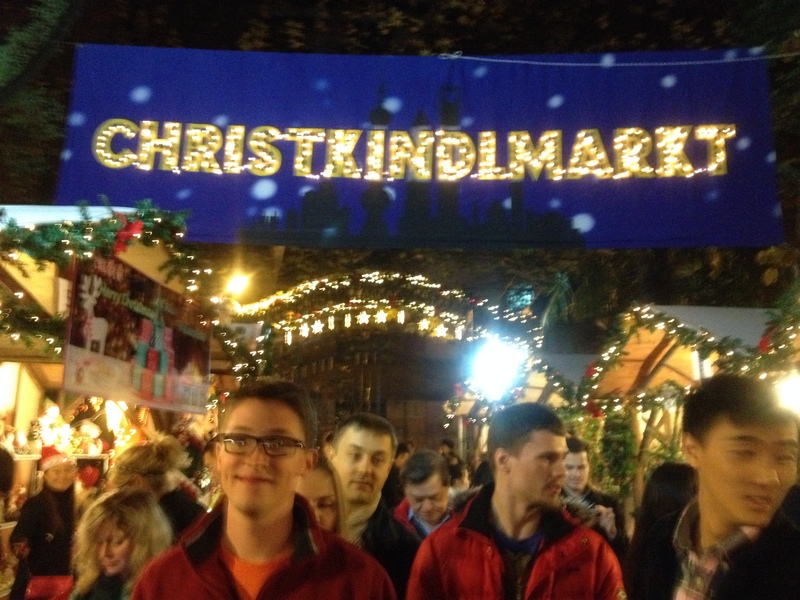 I loved the Christmas markets in Austria and was excited to see some more holiday lights! 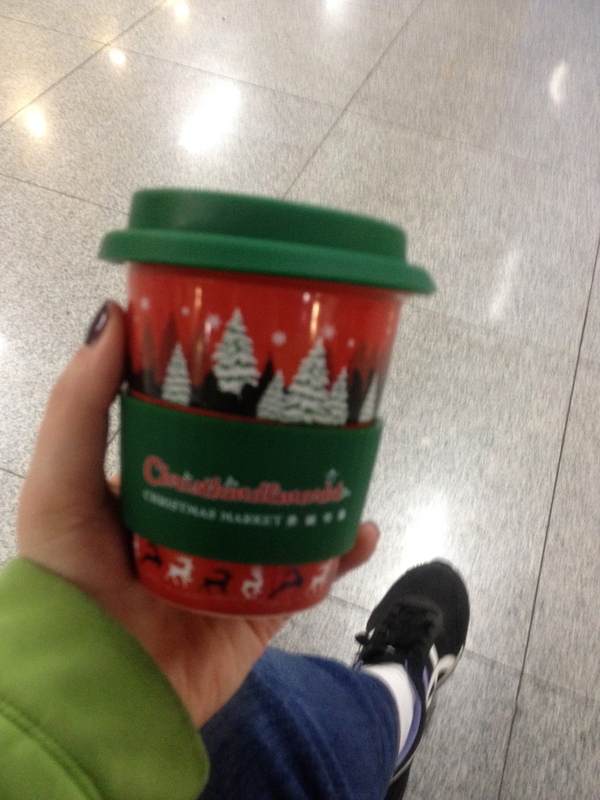 The market wasn’t super impressive, over crowded and cost some $$ to get in, but it was worth it for the mulled wine mug! Secretively that’s all I wanted. We did also splurge and get a hand painted ornament for our non-existent tree!! Only 2 weeks of school left for us here in Shanghai then it’s off for some amazing travel! These next few weeks will be very busy as both Jason and I have concerts! But as always, they will be amazing! Thinking of you as Christmas approaches. I remember well, Christmases in the Bahamas. of the smog in southern California and it had an odd smell.